Air pollution can be the first thing to pop into your mind when Beijing is brought up in conversation. Depending on when you travel to Beijing, and on your luck, you might have to deal with bad air days. Fortunately, that doesn&apos;t mean that you still can&apos;t make the most of this beautiful city. 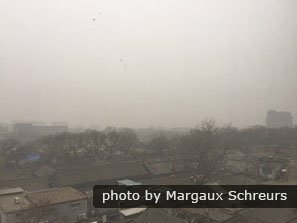 How is Beijing&apos;s air pollution measured? 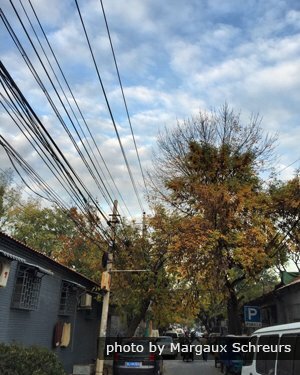 Beijing&apos;s air pollution is measured in terms of AQI: air quality index. The scale goes from 0-500, and takes into consideration many different factors including ground-level ozone, particle pollution, carbon monoxide, sulfur dioxide, and nitrogen dioxide. An AQI level of 100 is generally seen as the upper limit for healthy air, and anything above that will start to affect the young, the elderly, or those with preexisting medical conditions. If you haven&apos;t booked your trip yet, the past few years May has been the best month, which is also when the weather is best (warm, not too dry nor too humid, with the occasional little bit of rain). When summer hits after May, you&apos;ll find more rainfall, and a higher chance of pollution, too. 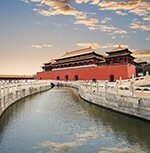 Ironically, the time periods least recommendable to visit Beijing because of the crowds and prices, like the Chinese New Year holiday and the October National Holiday, are when the air tends to be the best. During this time, the local province&apos;s surrounding governments are more likely to crack down on factories, and many of them shut, leading to air quality improvements. Thankfully, when the air in Beijing is good, it&apos;s really good. Winds coming in from the north and northeast, especially in winter, bring chills but amazing blue skies that are much better than Europe&apos;s grey lasting winters. If you are traveling with young children or the elderly, or anyone who has preexisting lung conditions, you might find that Beijing&apos;s air on severely polluted days will lead them to be out of breath faster. Other groups of tourists that need to beware are photographers: if you&apos;re aiming to go to China as a photographer, or taking photos is an important motivation for your trip to Beijing, you&apos;ll find that long-distance shots are not as great when the pollution levels are higher. If you are healthy, however, you will not find that many consequences as long as levels aren&apos;t above about 200. At this point you might feel it a little bit as an itch in your throat. If you are sensitive to pollution, to limit your exposure you could buy a 3M n95 "dust mask" in Beijing for 18 yuan. Where to avoid and how can we help? Things to avoid when pollution levels are high include active outdoor activities such as biking or walking long distances. Things like walking tours can be rescheduled if booked through us and the pollution is really bad. 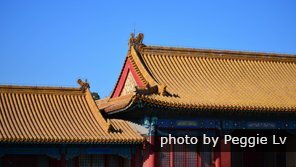 Sights to avoid are Jingshan Park, Tian&apos;anmen Square and the Forbidden City, as they are just better with a blue backdrop and the view from Jingshan Park is a shame to waste on a bad air day. Another picturesque Beijing view that just isn&apos;t the same on a bad air day is the Temple of Heaven. What to do instead to make the most of your holiday? Thankfully, there&apos;s still plenty to be done when the pollution is bad. First up: staying indoors, for example at Beijing&apos;s many museums. Staying indoors, although pollution levels are not guaranteed to be spectacular on very bad days even indoors, does minimize your exposure to those pesky particles. Other indoor options include shopping centers (Parkview Green and China World Mall, for example, pride themselves on their air filtration systems) and cinemas at which we can find you a list of English-language options. 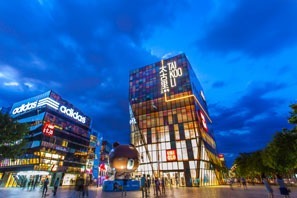 Many of Beijing&apos;s cinemas even have English subtitled for their Chinese-language films. A second good option if you do want to remain active and stay outside is to get out of the city. Head to a further part of the Great Wall (it is advisable to check conditions there first through one of the many pollution apps or websites, one commonly used by expats is AirVisual) like Shanhai Pass or Huanghuacheng, where air conditions are likely to be different from Beijing&apos;s city center. And a third option is a day trip (or even a two-day trip) elsewhere, or a slight re-route in your itinerary. Nearby destinations like Cuandixia Village, Gubeikou, Datong, or Chengde can offer respite. In winter, Beijing&apos;s ski resorts are also an option. We can help manoeuvre around the pollution. Don&apos;t let the pollution get you down. 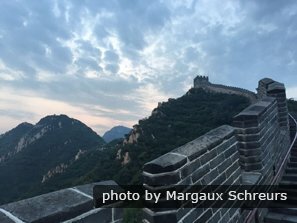 We are flexible on terrible pollution days even if you&apos;re already halfway through your tour, ensuring that you spend less time in the city on those terrible days, and spend these, for example, at the Great Wall. Thankfully predictions of pollution bouts are improving, making it easier to predict a few days ahead of time what the air will be like if you&apos;re traveling in a high-risk period like winter. 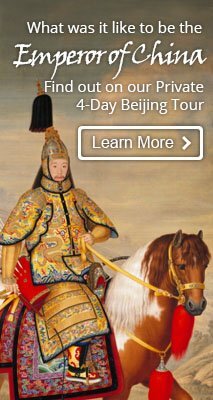 Click here to create your own tour, or see our most popular Beijing tours here, including a 3-Day Beijing Discovery Tour or VIP Beijing Essential tour. Worried about other natural disasters such as earthquakes in China?